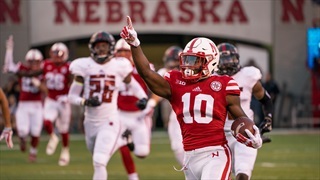 In Saturday night’s 43-36 win over Arkansas State in front of another sellout crowd, JD Spielman returned a kickoff 99-yards for a touchdown. That would be special enough on its own as the Huskers' first kickoff return for a touchdown since 2013. It also happened to be JD Spielman’s first collegiate touch. The redshirt freshman from Eden Prairie, Minnesota, had a heck of an introduction to Husker Nation. Spielman has a famous father. His dad is Minnesota Vikings General Manager Rick Spielman, a guy who's seen a lot of football, so of course he had a reaction to the 99-yard touchdown. You could chalk it up to being young or just excited about the first touchdown, but Spielman definitely wasn't thinking about potential penalties mid-run. The point that made JD Spielman (in)famous. “Honestly I didn’t even know I wasn’t allowed to point," he said. "I thought it was completely legal until I got to the sideline and everyone started telling me not to point. So now I know not to point. I realized when I started pointing I slowed down a little bit so that’s why I put my hand back down. 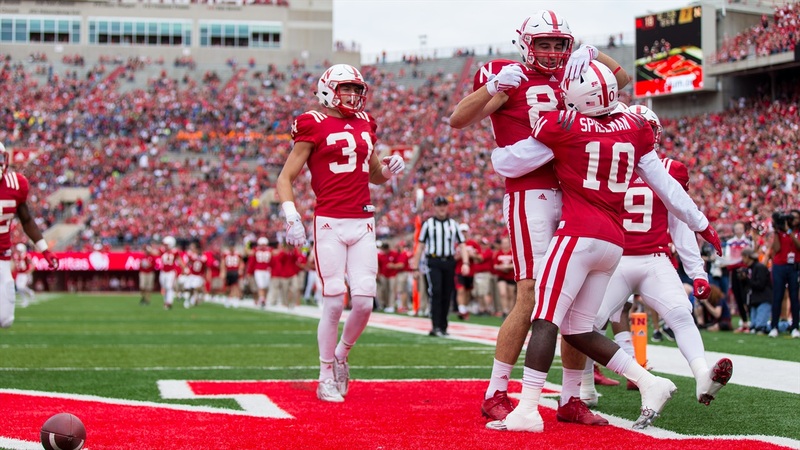 There had been a good amount of talk leading up to the first game from Mike Riley about how Scott Booker’s enthusiasm for special teams is infectious. Last week that enthusiasm included the potential for a Spielman return. You would think that scoring a touchdown in your first college action would be on your mind quite a bit. Not for Spielman, who said that it didn’t hit him until after the game when people were really talking about it. Husker fans have certainly taken notice of his first touch being a touchdown. Surely future opponents are taking notice as well.